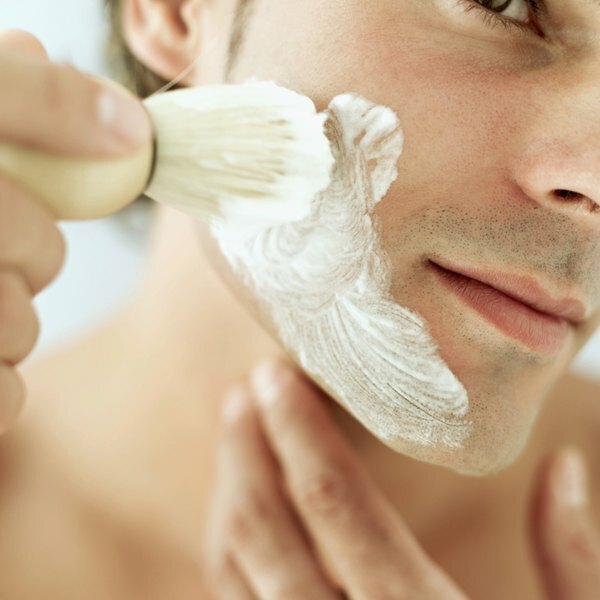 Get a smoother shave by applying shaving cream with a brush. 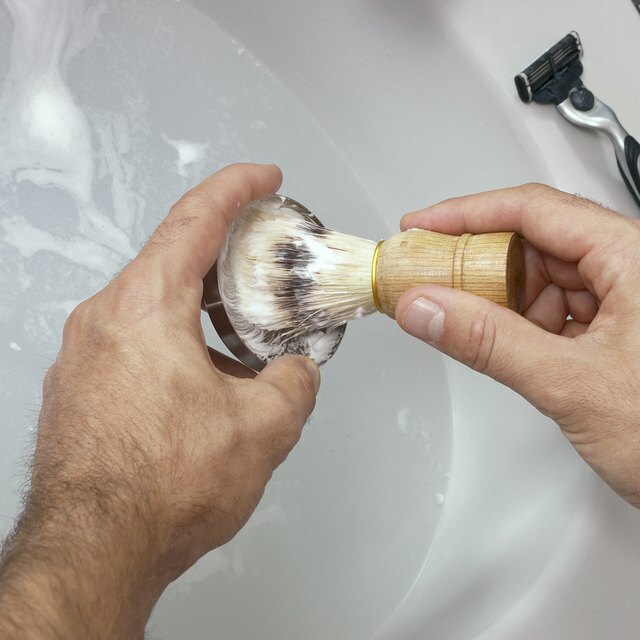 Using a shaving brush to apply shaving cream helps prep the skin for closer shave. The round, stiff-bristled tool gently exfoliates and helps to raise hairs out of their follicles. It also creates a super-smooth surface for the razor to glide over. Most often used by men for facial hair removal, both ladies and gents can utilize these brushes on any part of the body where a hair-free surface is desired. Start with clean skin. It’s best to shave while your skin is still damp and warm. Run the bristles of the brush under warm water, then shake it gently so it’s not dripping wet. Put a quarter-sized dollop of shaving cream onto the center tip of the bristles. Smooth the cream onto your skin using a circular motion. Run the brush quickly under hot water – with shaving cream still in the bristles – if you want to create a thicker lather. Apply more cream and water to the brush as needed until the desired areas of skin are covered in lather. Once you’re done, don’t just toss the brush into a bag or drawer until your next shave. Rinse it well under warm water until all of the cream is out of the bristles and then shake several times to remove excess water. Place the brush on the edge of the sink and allow to dry completely before storing.